The Insulated Ancha Parka brings trail-tested tech to your daily commute with warmth, weatherproofing, and easy-access train- and bus-pass pockets. DryVent 2L Shell: &amp#8226 Waterproof outer layer with fully taped seams. &amp#8226 Breathable polyurethane inner membrane. &amp#8226 Poly shell with subtly textured slub weave. 100g Heatseeker polyfill insulation. 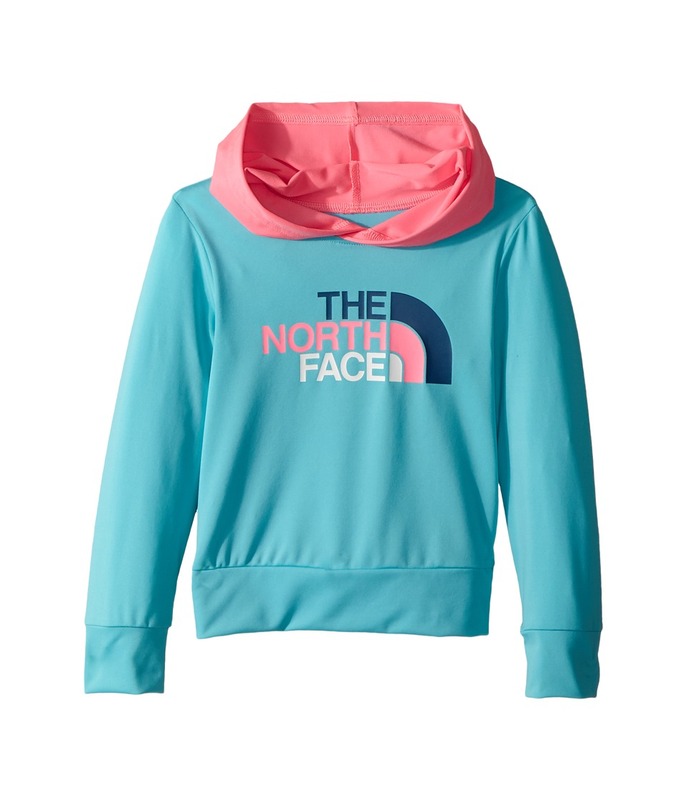 Removable hood with adjustable drawstring. Separate stand collar. Two-way front zip with inner draft flap. Inner drawcord cinches the waist. Water-resistant, zip hand pockets. Specialized metro pass pocket for easy access to your commuter card. Inner media device pocket with headphone cord router. Extended hemline. Shell and Lining: 100 percent polyester Fill: 100 percent polyester. Machine wash and tumble dry. Imported. Measurements: Length: 32 in Sleeve Length: 34 in Product measurements were taken using size SM. Please note that measurements may vary by size. 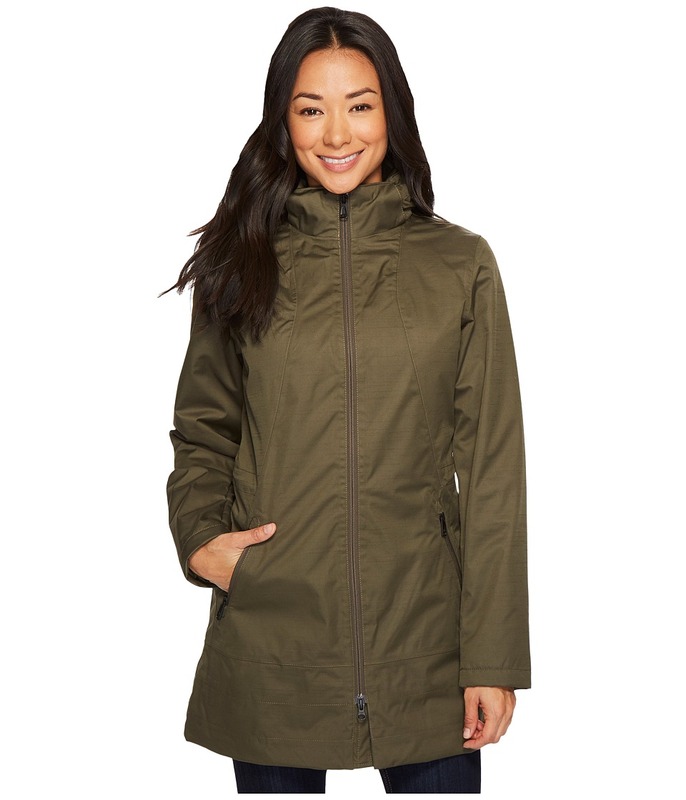 The Tomales Bay Jacket brings trail-tested tech to your daily commute with waterproofing, and easy-access train- and bus-pass pockets for protection on those stormy days. DryVent 2L Shell: &amp#8226 Waterproof outer layer with fully taped seams. &amp#8226 Breathable polyurethane inner membrane. &amp#8226 Poly shell with subtly textured slub weave. Removable hood with adjustable drawstring. Separate stand collar. Two-way front zip with snap-button draft flap. Belted side detail cinches the waist. Stacked snap-flap over zip pockets. Specialized metro pass pocket for easy access to your commuter card. Inner media device pocket with headphone cord router. Extended, droptail hemline. Shell and Lining: 100 percent polyester. Machine wash and tumble dry. Imported. Measurements: Length: 33 in Sleeve Length: 32 in Product measurements were taken using size XS. Please note that measurements may vary by size. Girls don~t stop for anyone&amp#8212not even the cold. 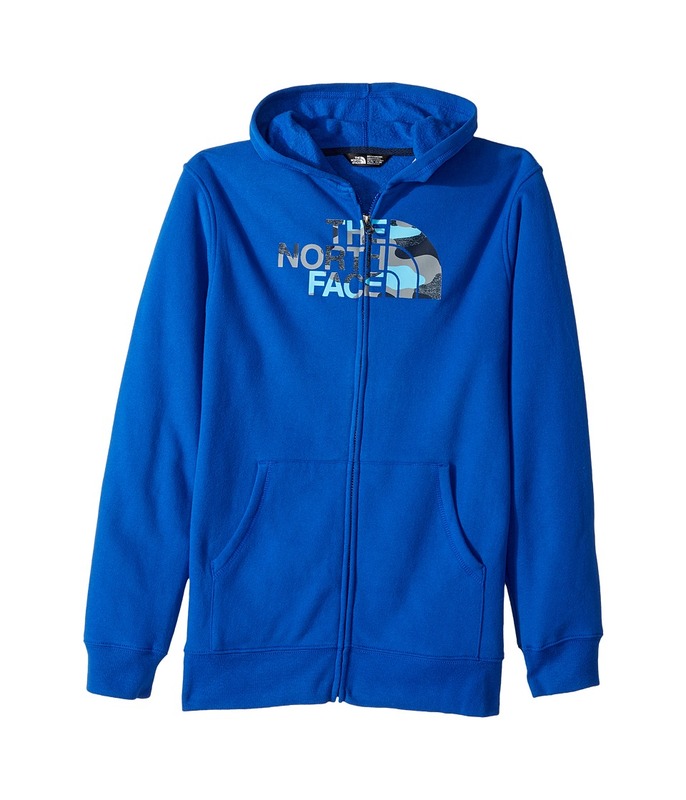 Keep her warm while she~s on the go with the Glacier Track Jacket. Ideal worn as an outer layer in milder temperatures or as a mid layer in cold weather conditions. 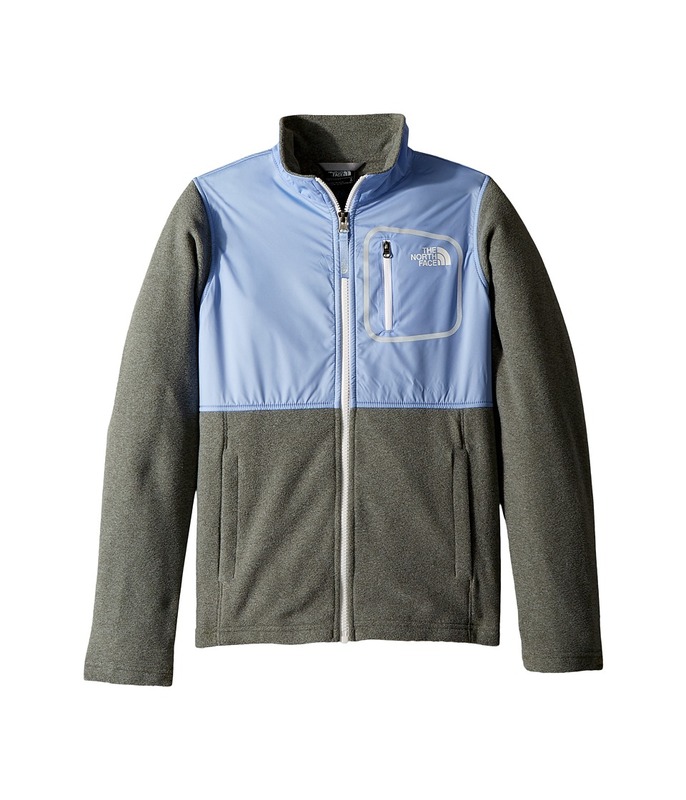 Durable, pill-resistant fleece delivers lightweight warmth. Water-repellent panels overlay the shoulders and upper body. Stand collar extends protection. Full-zip front closure. Color block construction adds a sporty edge. Napoleon zip pocket at left chest. Welt hand warmer pockets. Straight hemline. 100 percent polyester. Machine wash warm, tumble dry low. Imported. Measurements: Length: 19 in Product measurements were taken using size SM (7-8 Big Kids). Please note that measurements may vary by size. 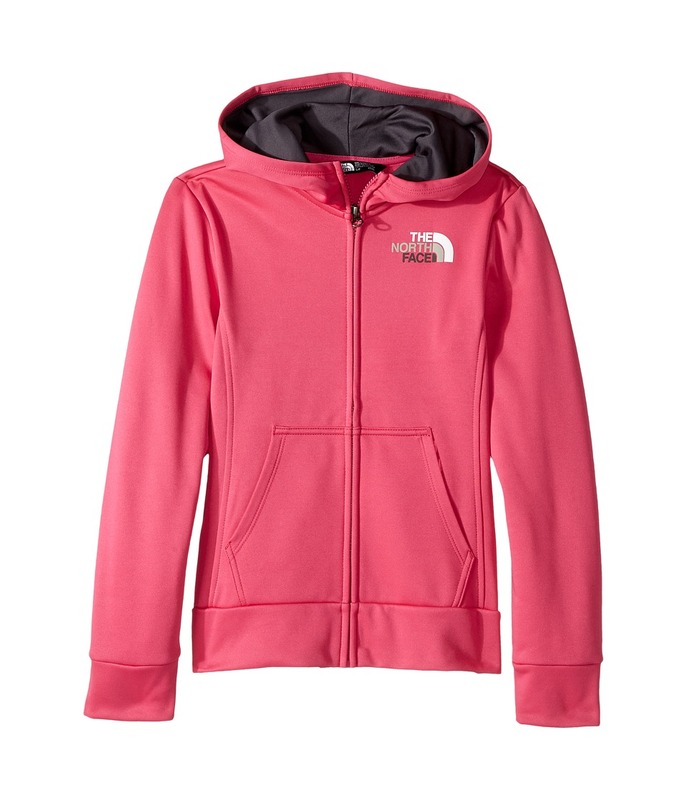 Chilly temps may be surging, but she~ll be sitting pretty in this cozy hoodie. Surgent fleece: &amp#8226 Hardface fleece features a smooth outer that moves easily under top layers. &amp#8226 Soft, brushed-back inner face increases surface area for improved warmth retention. &amp#8226 UPF 50 fabrication protects your skin during outdoor activity by blocking harmful Ultraviolet A and Ultraviolet B rays (UVA and UVB). &amp#8226 210 g/m&amp#178 fabric weight. Attached two-panel hood with Reaxion Amp jersey-knit lining. Full-zip front closure. Kangaroo hand pockets. Banded cuffs and straight hem. 100 percent polyester. Machine wash and tumble dry. Imported. Measurements: Length: 20 1 2 in Product measurements were taken using size MD (10-12 Big Kids). Please note that measurements may vary by size. 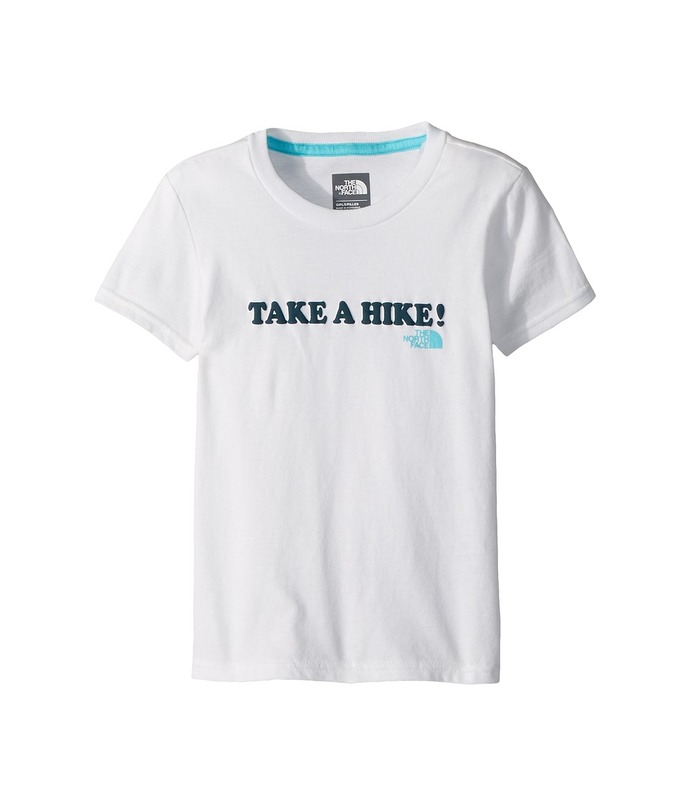 She~s ready to get outside and get active in this lovely tee. Regular fit is eased, but not sloppy, and perfect for any activity. Classic, lightweight, and comfortable cotton jersey. Rib knit crew. Short-sleeve coverage. Screen printed artwork at front. Straight hemline. 100 percent cotton. Machine wash cold, tumble dry low. Imported. Measurements: Length: 17 1 2 in Product measurements were taken using size 2XS (5 Little Kids). Please note that measurements may vary by size. He doesn~t know what he wants to do from one minute to the next, so cover your bases and put him in the versatile Hike/Water Tee. Quick-drying, stretch polyester jersey. UPF 50 fabrication protects the skin during outdoor activity by blocking harmful Ultraviolet A and Ultraviolet B rays (UVA and UVB). Two-panel hood with crossover neckline. Pullover construction. Long-sleeve coverage. Water-based, screen-printed logo at chest. Straight hemline. 84 percent polyester, 16 percent elastane. Machine wash cold, line dry. Imported. Measurements: Length: 13 1 2 in Product measurements were taken using size 4T Toddler. Please note that measurements may vary by size. He doesn~t know what he wants to do from one minute to the next, so cover your bases with the versatile Hike/Water Short. 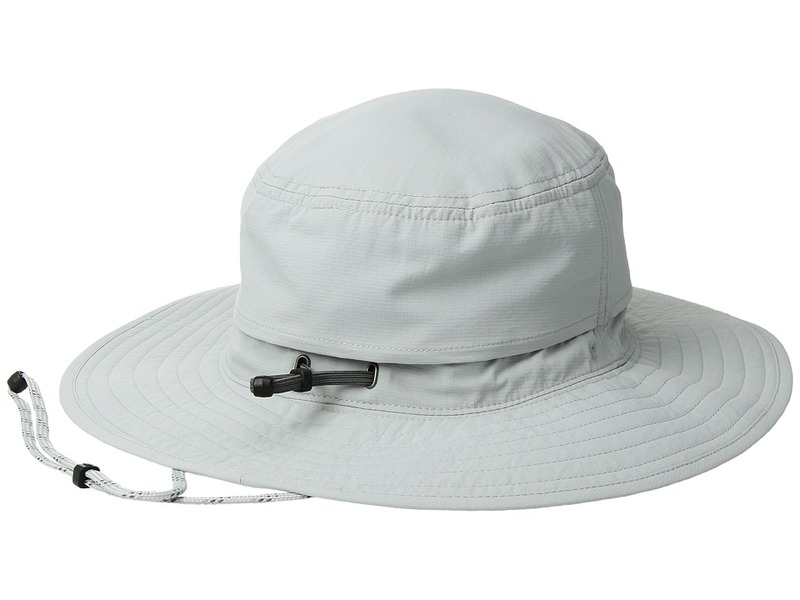 Lightweight peached polyester dries quickly and boasts a DWR (durable water repellent) finish that sheds moisture. UPF 50 fabrication protects the skin during outdoor activity by blocking harmful Ultraviolet A and Ultraviolet B rays (UVA and UVB). Elastic waist provides a comfortable fit. Embroidered brand mark at lower left leg. 100 percent polyester. Machine wash cold, tumble dry low. Imported. Measurements: Waist Measurement: 21 in Outseam: 10 in Inseam: 3 1 4 in Front Rise: 7 in Back Rise: 10 in Leg Opening: 15 in Product measurements were taken using size 4T Toddler. Please note that measurements may vary by size. 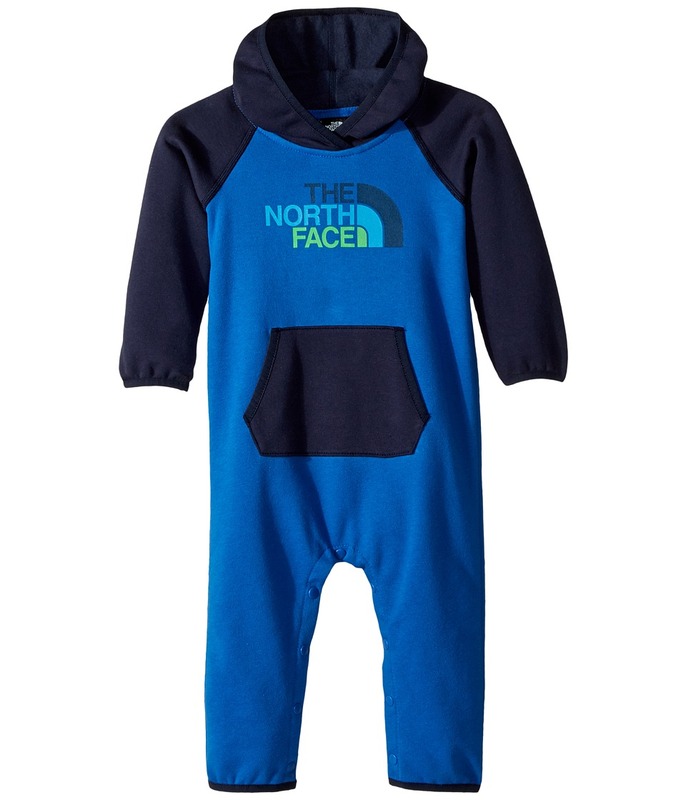 They~re ready to play all day in the cozy Logowear One-Piece. Peached fleece boasts a soft hand. Fixed, two-panel hood with crossover neckline. Long raglan sleeves with bound cuffs. Kangaroo hand pocket. Snap inseam for easy on and off. 80 percent cotton, 20 percent polyester. Machine wash cold, tumble dry low. Imported. Measurements: Inseam: 11 in Shoulder to Crotch: 20 in Shoulder to Toe: 30 1 2 in Product measurements were taken using size 18-24 Months. Please note that measurements may vary by size. Keep the Logowear Full Zip Hoodie close at hand and getting them out the door will be that much easier. Cozy cotton-poly blend. Fixed, two-panel hood. Full-zip front closure. Long-sleeve coverage. Split kangaroo hand pocket. Rib knit cuffs and straight hemline. 80 percent cotton, 20 percent polyester. Machine wash cold, tumble dry low. Imported. Measurements: Length: 17 1 2 in Product measurements were taken using size 2XS (5 Little Kids). Please note that measurements may vary by size. 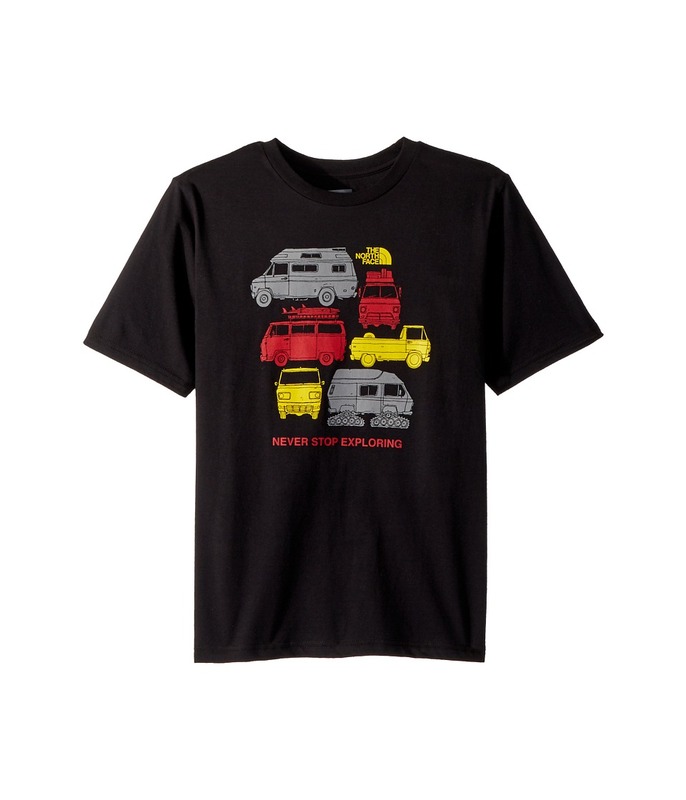 Make sure his hiking shoes are tied tight and get him out on the trail in this lightweight tee. Regular Fit. Pullover T-shirt in a soft, 160 g/m&amp#178 cotton jersey knit. Logo screenprint placed at the chest or chest and back. 1x1 rib-knit crew neck. Short sleeves. Straight hemline. 100 percent cotton. Machine wash and tumble dry. Imported. Measurements: Length: 24 1 2 in Product measurements were taken using size LG (14-16 Big Kids). Please note that measurements may vary by size. 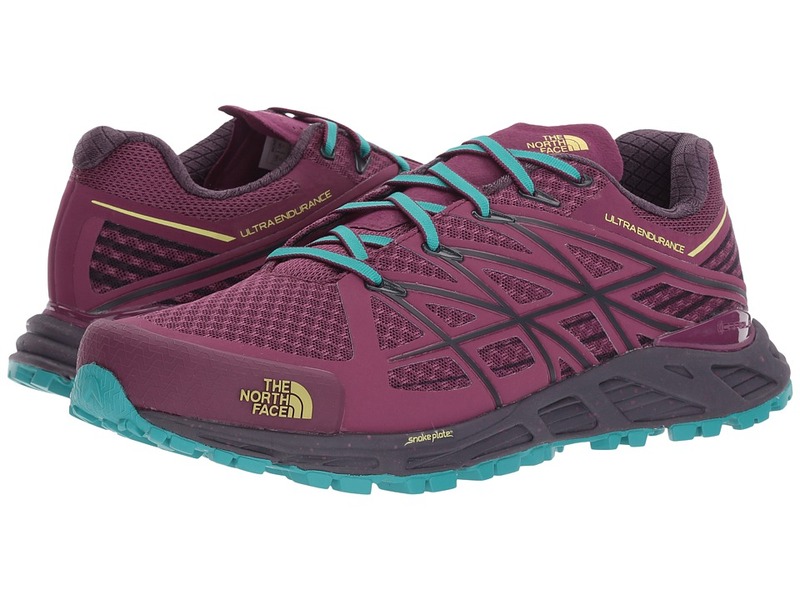 Find the balance of cushioning and stability needed to carry you from trailhead to wherever the trail takes you, in The North Face Ultra Fastpack II GTX hiking shoe. Built for fast pursuits on mostly hardpack terrain. 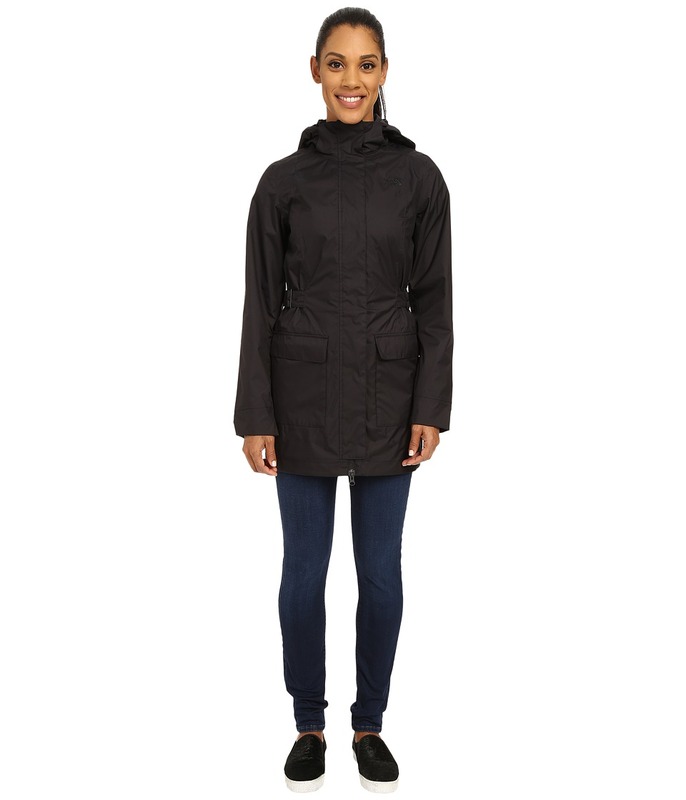 GORE-TEX technology ensures breathable, waterproof protection from outside elements. Ventilated mesh, textile, and synthetic upper materials. Cables embedded into the mesh quarter panel supply mid-foot support, while welded overlay offer lightweight structure. Lace-up closure. Rubberized toe cap and screens for toe and metatarsal-head protection. Ultra Protect CRADLE for added heel stability. Heel pull loop. Plush tongue and collar. FlashDry textile collar lining wicks moisture away from the skin. Molded foam insole. ESS Snake Plate in the forefoot. Dual-density, injection-molded CRADLE GUIDE midsole provides cushioning and support. Vibram rubber outsole delivers durable multi-terrain traction. Imported. Measurements: Weight: 1 lb 1 oz Product measurements were taken using size 12, width D - Medium. Please note that measurements may vary by size. Weight of footwear is based on a single item, not a pair. 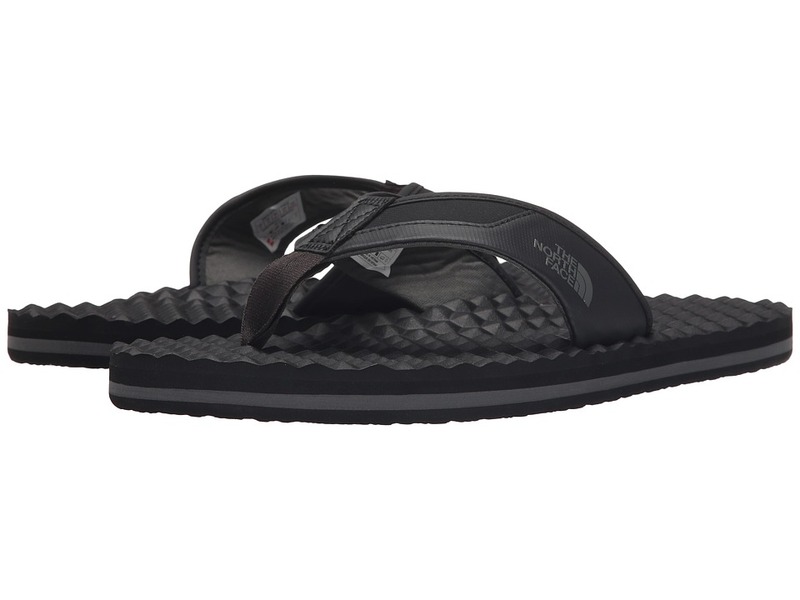 Embrace the rising temperatures by slipping into the daylong comfort of The North Face Base Camp Plus flip flop sandal. Durable, water-friendly synthetic strap. Webbing toe post. 2 mm SBR padding with soft jersey lining. 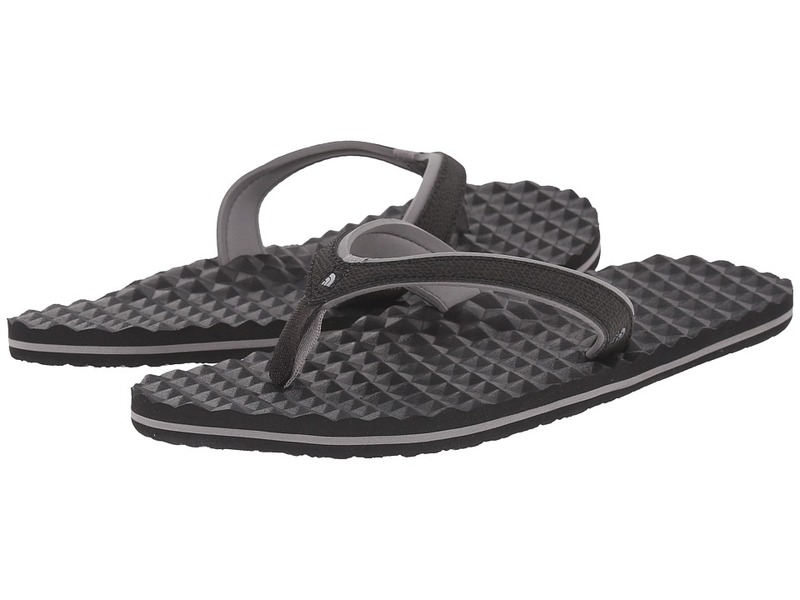 Comfortable, long-lasting, compression-molded PU geodesic footbed. Lightweight blown rubber outsole. Imported. Measurements: Weight: 8 oz Product measurements were taken using size 11, width D - Medium. Please note that measurements may vary by size. Weight of footwear is based on a single item, not a pair. 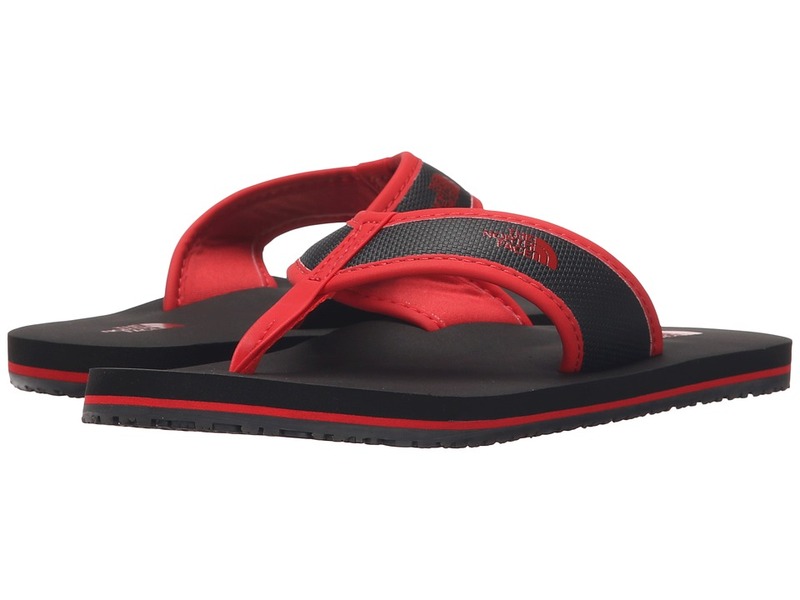 Keep your warm-weather style on point in the easy comfort of The North Face Base Camp Plus Mini flip-flop sandal. Durable, water-friendly synthetic straps. Soft EVA lining adds lasting comfort. Compression-molded PU footbed with a geodesign pattern. 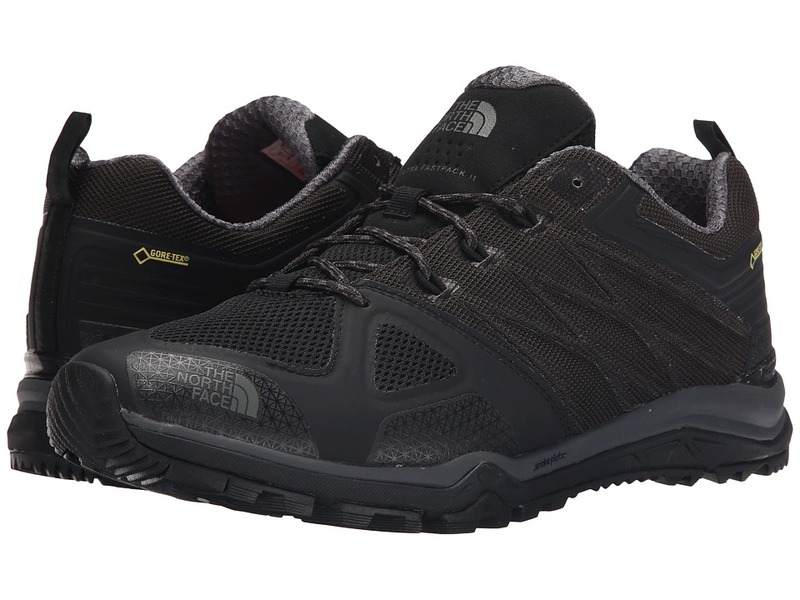 Lightweight blown rubber outsole provides reliable traction. Imported. Measurements: Weight: 4 oz Product measurements were taken using size 9, width B - Medium. Please note that measurements may vary by size. Weight of footwear is based on a single item, not a pair. 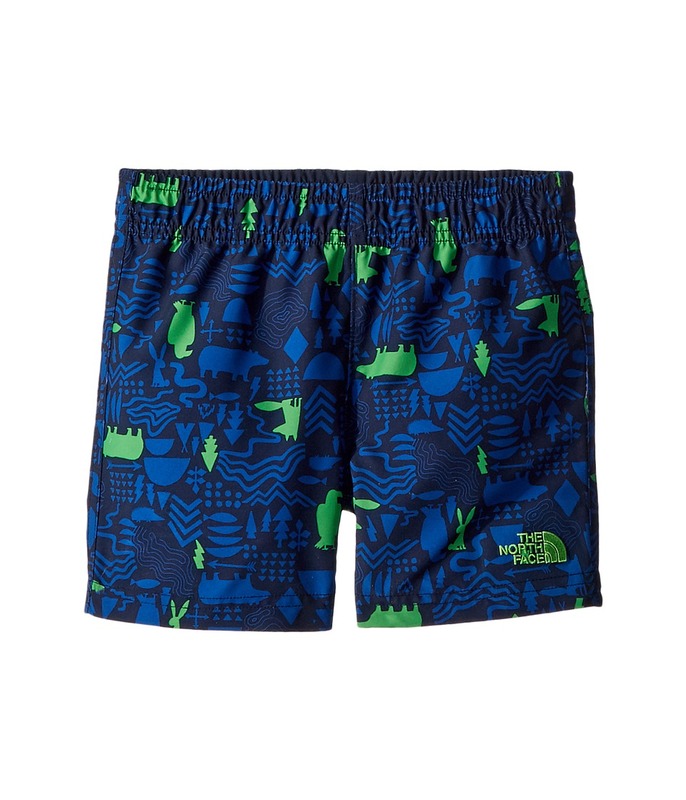 The North Face Kids Base Camp Flip-Flop is ready to be taken in and out of the house for some rigorous fun! Inspired by The North Face hyper-durable expedition bags, this lightweight sandal is fit for mountains, valleys or day-to-day wear and tear. PVC-free Hypalon strap with soft polyurethane (PU) binding and jersey lining. Extra cushy EVA egg crate-inspired footbed with anatomical arch support. Rubber outsole provides amazing grip and traction for your youngin~. Imported. Measurements: Weight: 5 oz Product measurements were taken using size 2 Little Kid, width M. Please note that measurements may vary by size. Weight of footwear is based on a single item, not a pair. 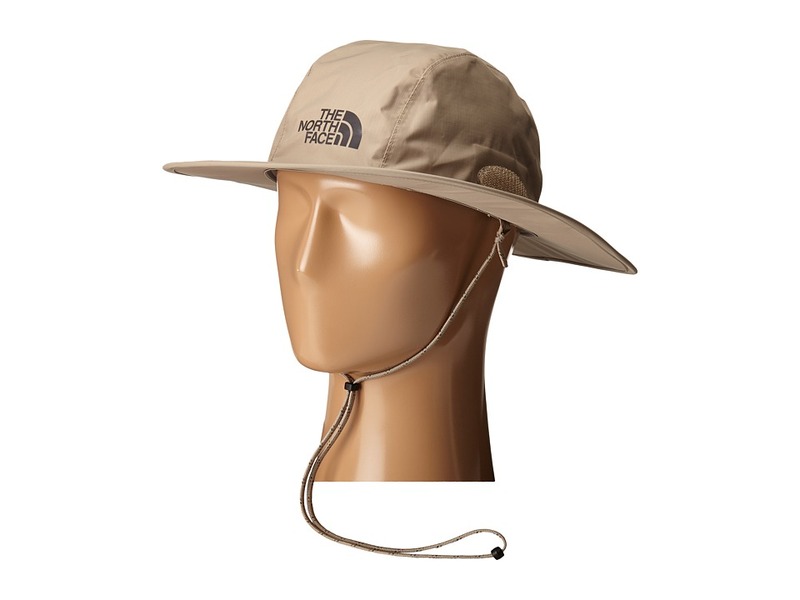 Enjoy nature with the protection of The North Face Dryvent Hiker Hat. Full brim for maximum shade. Folding sides held in place by hook-and-loop patches Constructed of durable ripstop. Adjustable and removable drawcord. TNF logo on front panel. 100 percent nylon. Imported. Measurements: Circumference: 25 in Brim: 2 3 4 in Product measurements were taken using size LG/XL. Please note that measurements may vary by size. 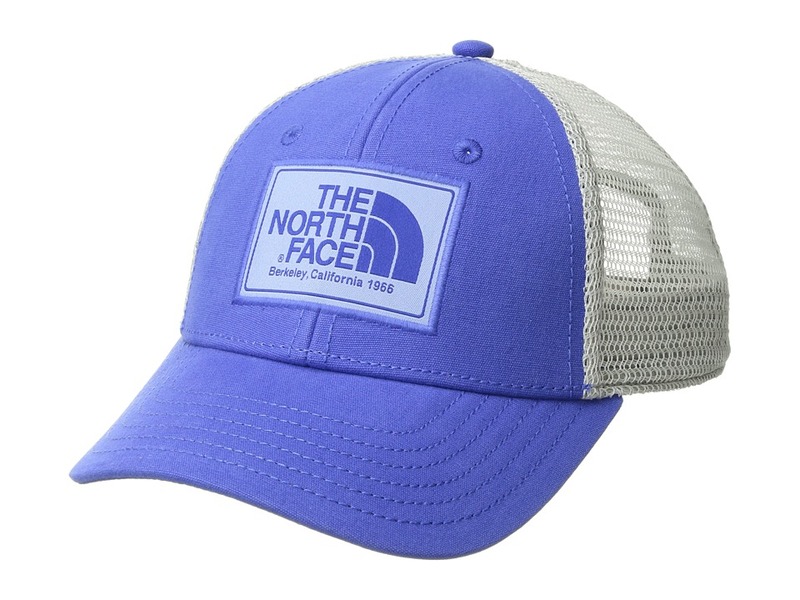 Stay protected from the sun~s harmful rays with this updated classic from The North Face. Full brim for maximum shade. Soft terry sweatband for all day comfort. Mesh venting with overlay for added breathability. Adjustable and removable drawcord. Embroidered logo on front panel. 100 percent polyester ripstop. Imported. Measurements: Circumference: 22 3 4 in Brim: 3 in Product measurements were taken using size LG/XL. Please note that measurements may vary by size.